Hola! Do you have nail polish just sitting collecting dust? Well, why not swap it out for a fresh new pop of color! 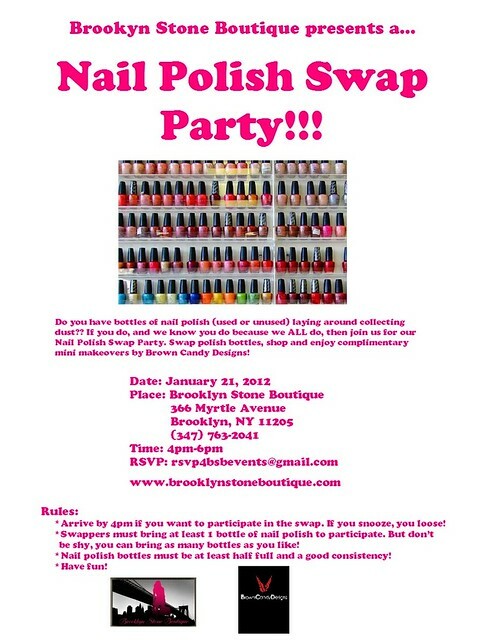 A la Brooklyn Stone Boutique’s—Nail Polish Swap Party. It is all going down on Jan 21st and if you are in the NYC area then rsvp quickly! Hope to see you all there!